This October, give your Scouts and Venturers a passport to the world. The 57th Jamboree-on-the-Air and the 18th Jamboree-on-the-Internet will be held on Saturday, Oct. 18, and Sunday, Oct. 19, 2014. 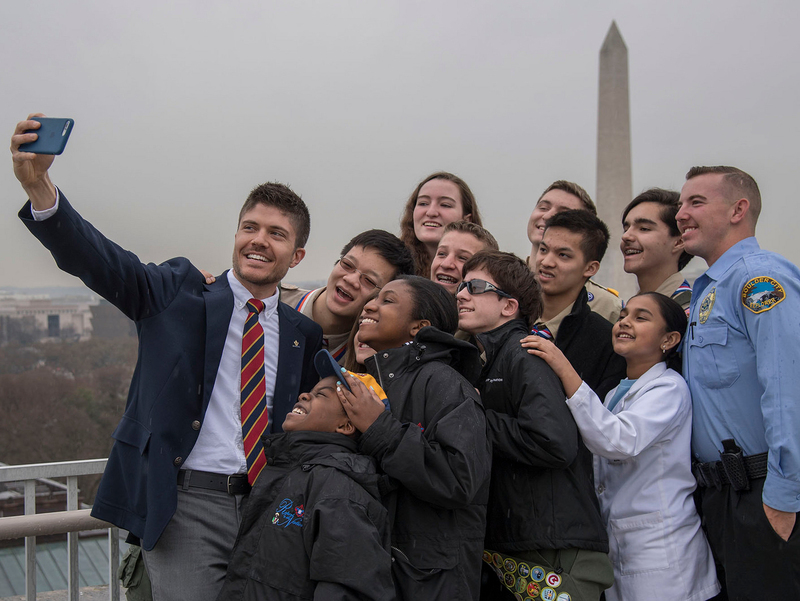 The annual World Scouting events let Scouts and Venturers communicate with Scouts from other cities, states and countries using ham radio, computers or tablets. Scouts of any age may take part — and take part they do. The 2012 Jamboree-on-the-Air drew 700,000 participants globally, according to the World Scout Bureau. What: Annual Scouting event that uses amateur radio to link Scouts around the world, across the country and in your own community. Who: Scouts of any age! How: Once at the ham radio station, the communication typically requires speaking into a microphone and listening on the station speakers. However, many forms of specialized communication can also take place, such as video communication, digital communication using typed words on the computer screen transmitted by radio, communication through a satellite relay or an earth-based relay (called a repeater), and many others. Where to find help: Contact your local council. They may already have an event set up that your Scouts can attend. Otherwise, find a local American Radio Relay League club here. Learn more: Get resources, quick-start guides, patch order forms and lots more at the JOTA website. What: JOTA’s younger brother, JOTI is an annual Scouting event that uses the Internet and the numerous devices that are used to get online — home computers, iPads and more — to link Scouts from around the world. Where to find help: Contact your local council. They may already have an event set up that your Scouts can attend. Learn more: Get resources, quick-start guides, patch order forms and lots more at the JOTI website. Check out this cool archive of JOTA patches through the years. How do we pick units to cover in Boys’ Life and Scouting magazines?